A newly revised biography of Ajaan Mun, written by Ajaan Maha Boowa, is available from Wat Pah Baan Taad (EU-Server) and now also as html:A Spiritual Biography. For more about Ajaan Mun and the history of the Kammatthana tradition, see the essay "The Customs of the Noble Ones," by Thanissaro Bhikkhu. 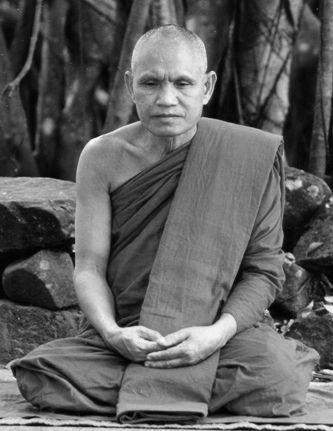 Luang Por Liem Ṭhitadhammo , a Buddhist monk in the Thai Forest Tradition, was born in Sri Saket Province in the Northeast of Thailand on the 5th of November 1941. 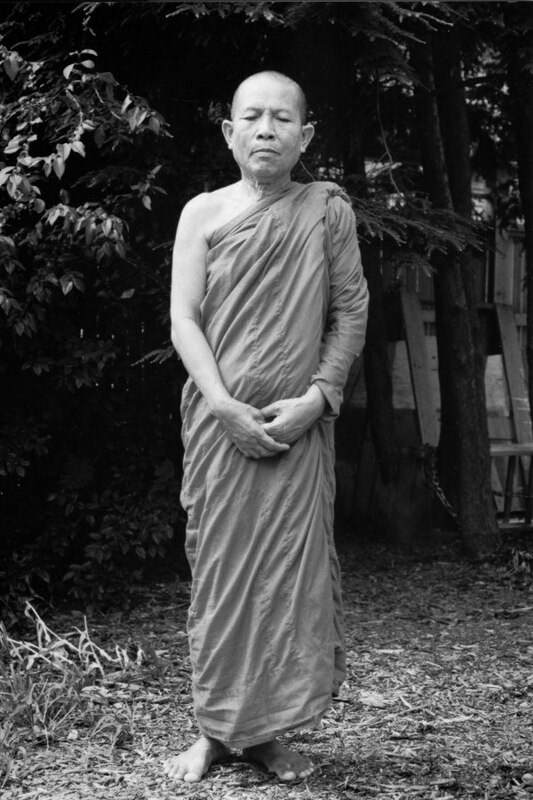 After higher ordination at twenty years of age, Luang Por practised in several village monasteries throughout the Northeast until he joined the Forest Tradition in 1969. 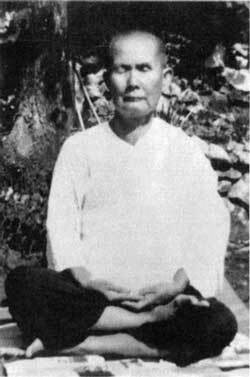 He took up the training under Luang Pu Chah, who later became one of the most famous monks in the country, and whose reputation and influence has continued to spread throughout the world, even today. 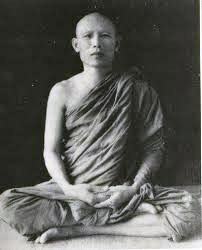 Living under Luang Pu Chah’s guidance in Wat Nong Pah Pong, Luang Pu Chah’s monastery in Ubon Province, Luang Por Liem soon became one of his closest disciples. 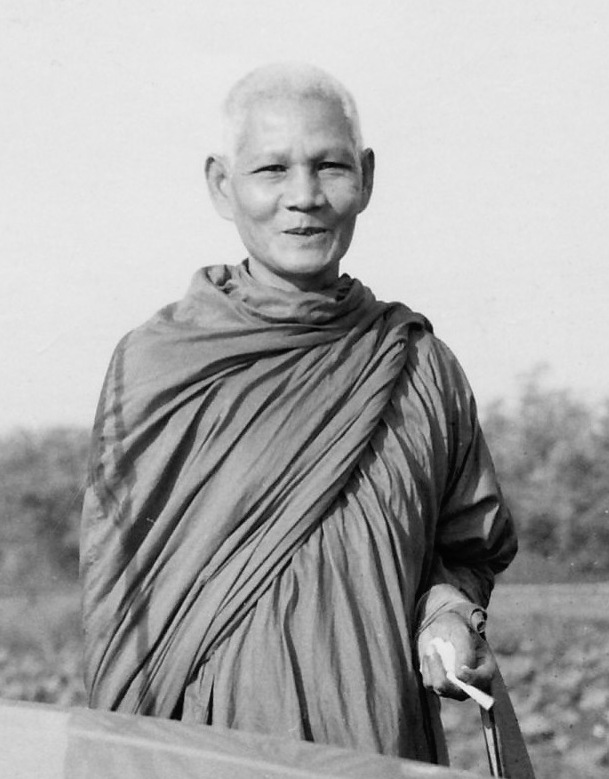 After Luang Pu Chah became severely ill in 1982, he entrusted Luang Por Liem to run the monastery. 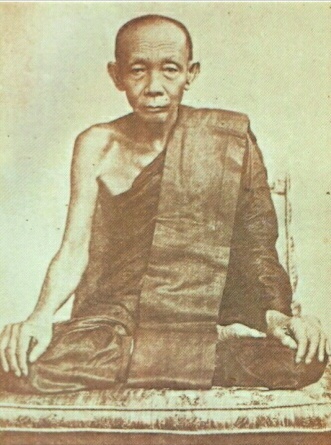 Shortly thereafter, as Luang Pu Chah’s illness prevented him from speaking, the Sangha of Wat Nong Pah Pong appointed Luang Por Liem to take over the abbotship. 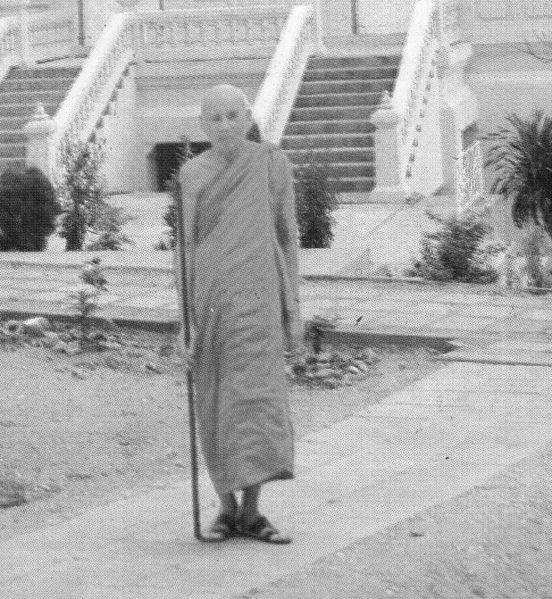 He fulfils this duty up to the present day keeping the heritage of Luang Pu Chah’s Dhamma and characteristic ways of monastic training available for monks, nuns and lay disciples. Shortly after his 60th birthday, almost ten years after Luang Pu Chah’s death, Luang Por Liem Ṭhitadhammo was given the honorary title of Tan Chao Khun Visuddhisaṁvara Thera by His Majesty the King of Thailand. For the Sangha at Wat Pah Nanachat (Luang Pu Chah’s International Forest Monastery for training non-Thai monks) Luang Por Liem is not only a dearly respected teacher and guide in the monastic life, but has for the last ten years also conducted every monastic ordination ceremony as the preceptor. — from the book "No Worries". 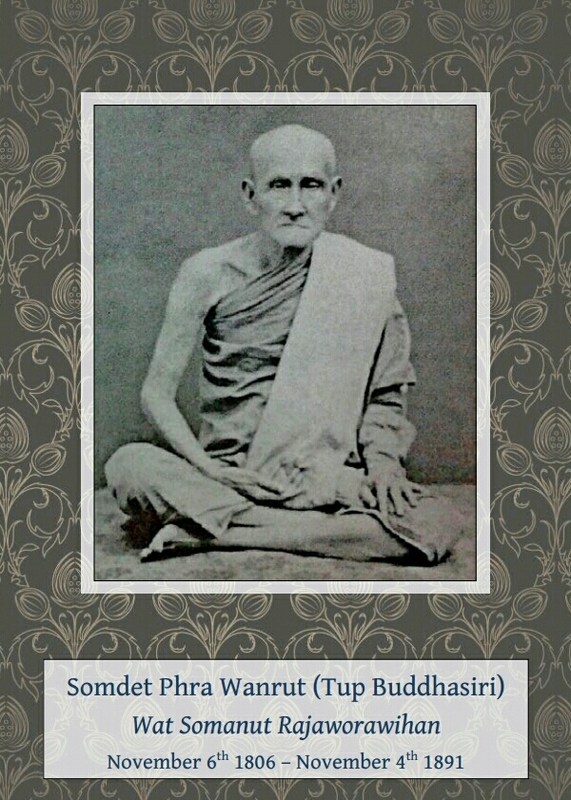 Somdet Phra Wanrut (Tup Buddhasiri) was born on 6. Nov. 1806 in the area of the newly established capital of Bangkok, at that time situated on the western side of the Chao Phraya River in Thonburi, during the reign of the first King of the present dynasty (called in Thai the ‘Ratanakosin’ Era). As a young boy, he was so brilliant in his studies that he started receiving royal patronage. He began studying Pāli as a boy even before he ordained as a novice. As a gifted scholar while still a teenager, he was introduced to Prince Mongkut and became his friend and tutor. At the age of twenty, he ordained as a monk as did Prince Mongkut. After a few years, they became uninspired by the state of the monkhood in Siam. Coming across Mon monks of the Rāmaṇa Nikāya who were strict and faithful in their practise of the monks’ monastic code, they reordained. Together with a strong interest in studying the original teachings of the Buddha in the Pāli scriptures, this germinal act blossomed into a full-on reform movement in Thai Buddhism – the Dhammayuttika Nikāya. — From Ven. Hāsapañño Bhikkhu's intoduction in Saṅkhitt'ovād: Exhortations in Brief. In his time, he was the most famous and brilliant monk in Siam. 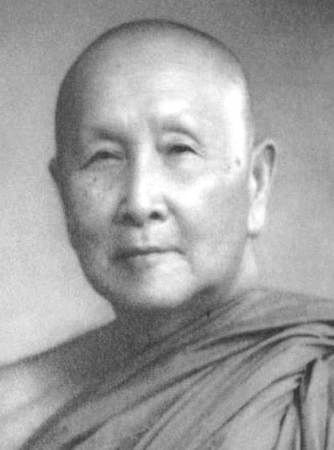 Widely respected by everyone, he was 14 years Luang Pu Mun's senior and was his most important teacher. 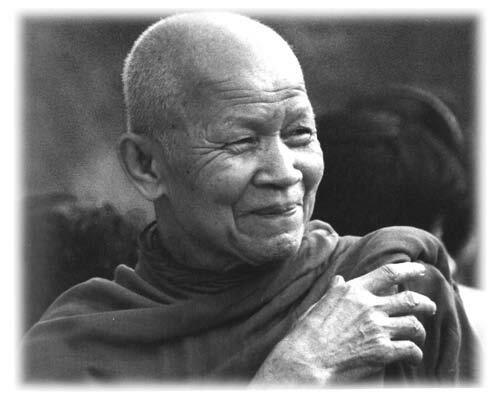 He was probably the Wilderness Tradition's single biggest benefactor in the early days: he was a true spiritual friend to many, a preceptor for Luang Pu Waen and Luang Pu Dteu, and a powerful advocate for them all in Bangkok, where the elites initially distrusted and reviled them. 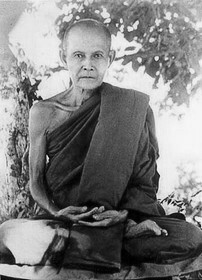 Luang Pu Mun highly respected and praised him, telling his close disciples that Chao Khun Upālī was an arahant with all the attainments it was possible to have. 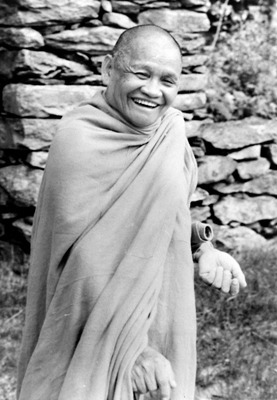 For all his accomplishments, he was most well known for the excellence of his Dhamma teaching. — Informatin from Ven. Hāsapañño Bhikkhu. 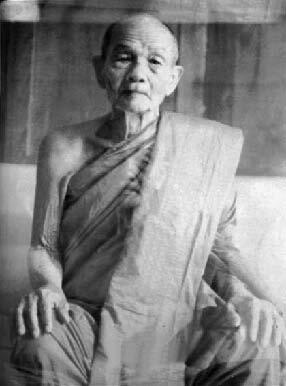 In Thailand "Luang Por" is an affectionate and respectful title given to older monks and means "Venerable Father". In a similar way, the appellation "Luang Pu" or "Venerable Grandfather" is used for very senior monks and can confer even greater reverence and respect. "Ṭhita" is a Pali word that translates best as "stable" and is an epithet for Nibbāna. 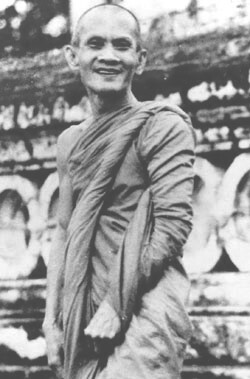 Luang Por Liem’s ordination name "Ṭhitadhammo" perhaps refers to "insight into the stability of the principles of Dhamma." Scource: Note in the book "No Worries"
"Tan Chao Khun" is an ecclesiastical title roughly equivalent to a bishop. "Visuddhi" means "purity", carries connotations of authenticity, completion and integrity and is another epithet of Nibbāna. "Saṁvara" translates as "restraint" or "discipline". It can refer to the mental qualities of non-grasping and detachment or to the sublime conduct of one practising the Dhamma. 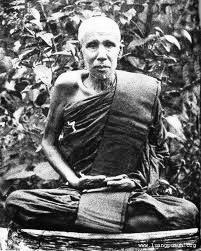 "Thera" refers to an elder monk in the Sangha. Scource: Note in the book "No Worries"
Last Revision: sj, 17. August 2017.